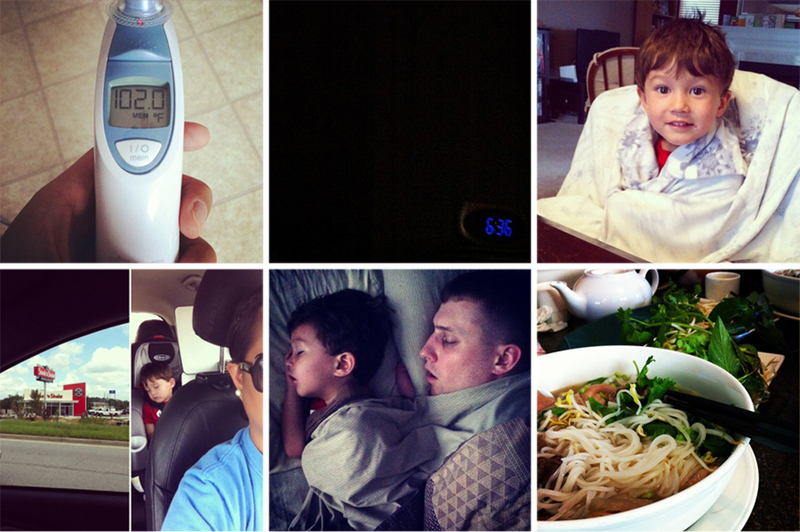 Throughout this week, our family was hit by a very nasty virus. We had fever as high as 102F, body aches, cough and soar throat. Nathaniel and I are 95% well but Hubby is still fighting the end of it (but if what he has is exactly like ours, he should be getting better too). Nathaniel has been sleeping with us since Monday night, which is definitely not a norm for us. 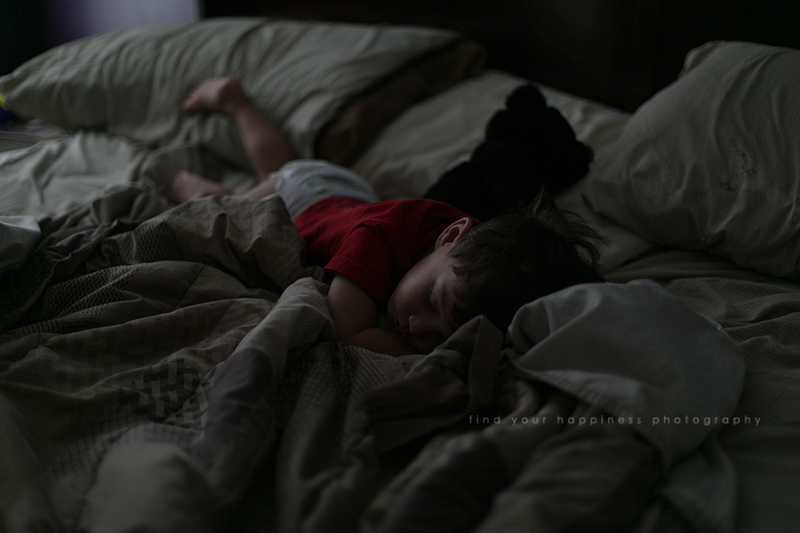 But he goes into coughing fits in the middle of the night and water seems to be the only thing that soothes his achy throat (especially since toddlers cannot take cough medicines). And the thought of just being thirsty and not having a way to access it is just plain cruel to me. It is also a great preparation for when we will actually need to co-sleep in a few days during our mini-vacation. 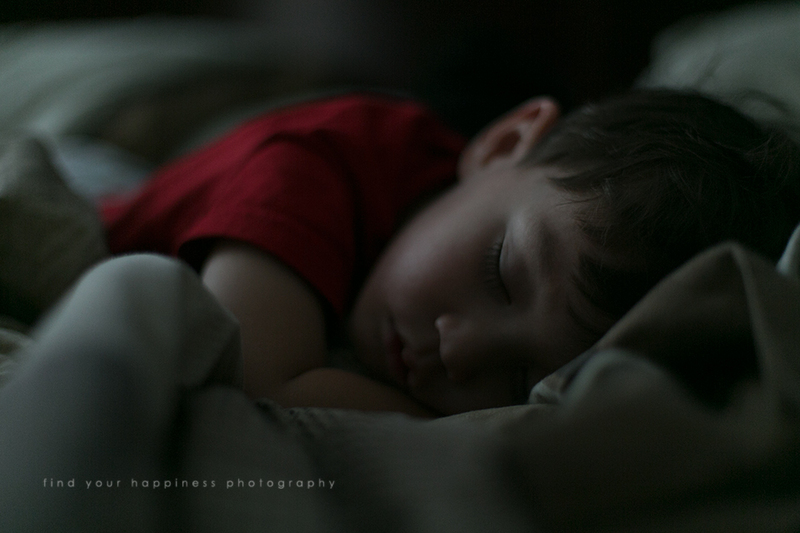 In this photo series, I saw Dean off to work and when I came back in our room to lay back down, Nathaniel had already invaded the entire bed. And you may think that these photos as too dark (underexposed) but I've been trying to stay true to the photos as I see them and capture them (so these are completely untouched except for resizing for the web and adding the watermark). I am also recently obsessed with shadows and dark contrast, thus the reason why I decided to keep it dark.